The Pitcher is Jack Langford, a 25-year major league baseball veteran, whose existence consists of watching games on television in his garage and drinking Good Times beer. Ricky, who lives across the street from Jack, is an aspiring pitcher on the cusp of high school with much more arm than control. Ricky’s mother is a noble soul, trying to raise her son and advance his future in the midst of racism, poverty, and violence. The writing flows smoothly, the characters are interesting, and the story itself is intriguing. 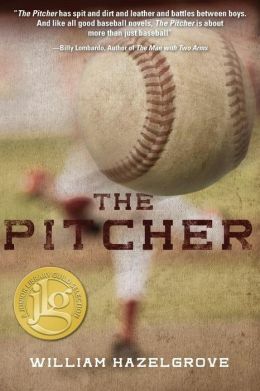 The Pitcher is clearly an enjoyable read, particularly well suited for young adult males. Its only detractors are those baseball purists who like everything in their baseball literature to 100% accurately reflect the game down to the smallest minutiae. From strictly a baseball standpoint, there are some technical inaccuracies (e.g., when Jack finally agrees to give lessons to Ricky and help him make the team, they are nothing like what pitching lessons would actually consist of). There are some others as well, such as description of the interactions between umpires and coaches, coaches and players, etc. However, this is fiction, and in all fiction one must be willing to suspend disbelief. If the baseball fanatic can get past some of that, there is much for them to enjoy here. The story will bring back feelings like hope or joy or disappointment for those who once played the game. The premise of The Pitcher is strong. This reviewer cannot help but speculate how the major issues dealt with in the book (racism, immigration reform, how to live when one’s dreams seem to be over, domestic violence, access to health care, etc.) would have translated to a larger audience if not confined to a first-person telling by Ricky, whose 8th grade maturity level and vocabulary do not always do them justice. All of that being said, The Pitcher is a worthy rendering of the age old theme of a boy, a ball, and a dream. A review copy was provided by the author. Dave Moyer is an education administrator and a former college baseball player. He is also the author of Life and Life Only, a novel about baseball and Bob Dylan. Ruby Thomas can throw a baseball hard – harder than most major league pitchers. But, in the 1920s, the All American Girls Professional Baseball League, popularized in the film A League of Their Own, did not yet exist, and the legal protections for female athletes afforded by 1972’s Title IX legislation were a very long way off. 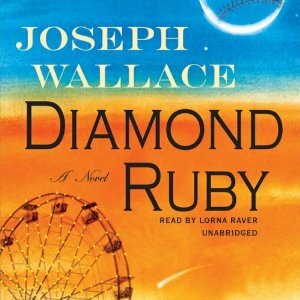 In Joseph Wallace’s Diamond Ruby, an outbreak of the Spanish Influenza virus devastates Ruby’s family, and – as a very young girl – she must assume responsibility for the care of her two young nieces. Needing to make money, she becomes a sideshow performer at an amusement park. News of Ruby’s remarkable prowess travels quickly, but under the iron fist of her abusive boss, Ruby is essentially enslaved with no ready escape. Two great athletes, Babe Ruth and Jack Dempsey, check out Ruby’s show and befriend her. Gamblers and booze smugglers have their own designs on how to use her for their own means. Eventually, the owner of a professional start-up league spots her. His plan is to sign her for her promotional value to help the league become profitable. Nearly everyone wants to control Ruby and make money off of her, except a friend who takes her in during her time of greatest need, a law enforcement official who looks out for her, and, ironically, many of the athletes in the story whose respect she comes to earn. Throughout the book, Ruby is frazzled by trying to devise ways to break free from the powerful men who want to use her for their own gain, coping with threats of the Ku Klux Klan who torment her because she is half Jewish, and experiencing the prejudice of the men who run organized baseball. She does all this while dutifully supporting and protecting her nieces. All she really wants to have is the joy of doing what she loves most – the opportunity to pitch on her own terms. The story starts out a bit slowly as the tale of Ruby’s impoverished childhood and series of misfortunes unfolds. For a while it is difficult to discern exactly what to make of the story beyond the fact that the only luck for Ruby is bad luck. However, when things get going in the second half of the book, the reader will be glad they stuck with it. Things move rapidly and the pages turn easily. The improbable convergences of events that bring the story to a close are cleverly constructed. The ending is both heartwarming and hilarious. This book was purchased. Dave Moyer is the author of Life and Life Only: A Novel, which happens to be about baseball. 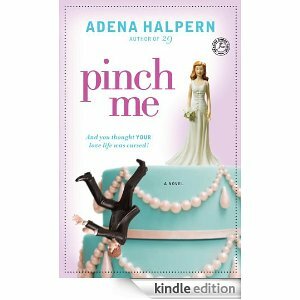 Pinch Me: A Novel, from the author of 29 (2010) and The Ten Best Days of My Life (2008), is about a woman who has the perfect life – until she discovers it has all been a dream. Or has it? “Never marry a man unless he’s short, bald, fat, stupid and treats you badly.” That is the romantic advice that twenty-nine-year-old Lily Burns has heard her entire life from her grandmother, Dolly, and mother Selena. Despite this, when she meets Gogo, the handsome, successful pediatrician who treats her like a queen, she has no choice but to let her heart take over. When she agrees to marry him, Dolly and Selma are inconsolable. They decide it’s time to tell her the truth: the women in her family are cursed. If she marries for love, there will be unimaginable consequences. Thinking she can somehow evade the curse that has plagued their lineage for generations, Lily elopes with Gogo. Unable to believe her good fortune, she asks Gogo to pinch her to make sure this isn’t a dream. The moment he does, Lily finds herself transported back to the house she lived in when she was single. Gogo is gone. It’s as if they never met. When Lily tracks him down she finds that he’s married to someone else and has no memory of her. In this reality, Gogo has none of his boyish charm, and instead of being a doctor, he sells drainpipes for a living. Lily knows it’s up to her to save Gogo and return them both to the wedded bliss they were meant to have – but the only way to do that is to break the curse. This sounds like a good one,doesn’t it? In order to enter this book giveaway, simply post your name and e-mail address below or send an e-mail with this information to Josephsreviews@gmail.com (e-mail addressses will only be used to contact the winners). This will count as a first entry. For a second entry, tell us what advice you received from your parents or family members while growing up… Did it turn out to be good advice? In order to be eligible for this particular contest, you must live in the continental United States, and be able to supply a residential mailing address if and when you are contacted. Books will not be shipped to a P. O. box or to a business-related address. You have until Midnight on Friday, August 26, 2011 to submit your entry or entries. Be forewarned that we may decide to pull the winner’s names at random, or simply provide the books to the earliest entrants. So much for the complex contest rules. Good luck and good reading! In order to deal with her pain, O’Rourke conducted a personal study of death, the standard fear of it, religious beliefs and traditions surrounding it, and the vast amount of research that has been done on the human grieving process. She even touches upon grief in animal colonies. One discovery she made in the process is that Elizabeth Kubler-Ross’ work on the stages of grief has been grossly misinterpreted. These were not intended to be the stages that mourners – those left alive – go through; they were intended to represent the stages that the chronically ill pass through. O’Rourke is at her best when she discusses her own fears with us. 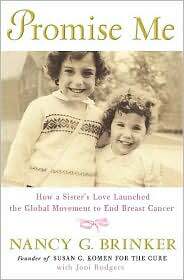 She has been afraid, since childhood, of the notion of death but it remained an abstract, if frightening, notion up until her mom’s passing. Then her grief became all-encompassing and something she could not put aside in order to lead a “normal” life. Grief, in a sense, made her insane for a period of time but it also taught her some very valuable lessons – the chief among them being that one has to focus on death in order to truly appreciate life. As her father told her many months after his wife’s death, he had always focused on what he didn’t have; now he had learned to look at what he did have in the world and in the universe. After a loss you have to learn to believe the dead one is dead. It doesn’t come naturally. There’s a sense of accepting humbleness that permeates O’Rourke’s account – although she was raised a Catholic, she refers numerous times to Buddhism. If there’s a weakness in the telling, it’s a factor that naturally affects most memoirs, a tendency to make one’s own life sound more important than that of the others that share the planet with the writer. And, like Julie Metz in Perfection, O’Rourke tends to tell us more than we actually want to know about her social (meaning sexual) life. But these are minor points, because O’Rourke succeeds quite well in making us examine death as something both macro and micro; as something that must be fully understood before we can make realistic choices about what is most important in our lives. In her almost philosophical approach to examining death and dying, she has written not only a monumental love story for the person who has gone missing in her life, she has also placed death in its natural and proper context. This is, in the end, a work about acceptance – the good with the bad – survival with death, the sudden eclipse of a life and eternal love. 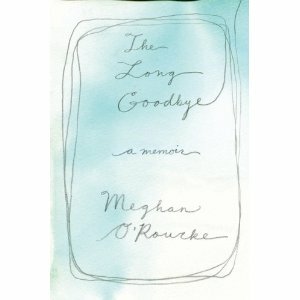 O’Rourke masterfully teaches us about the art of dying, a matter for both hearts and heads (minds). Very, very well done. Highly recommended. I read The Language of Trees not long after it was first published this past summer. The massive review in the local paper promised it would be a good read, and it did seem to be right along the lines of something I would normally pick off the shelf. I came to learn rather quickly that Ilie Ruby has a wonderful way of carrying you through a story, pulling you deeper and deeper and then when you least expect it, WHAM, she hits you with an emotional truth that is so deep and profound that it sends you sprawling, gasping for something to hang onto. This happened to me in the process of reading this book. I would go from a relaxed reading position, to sitting straight up, to leaning on the edge of my seat, to standing, to pacing, to talking to myself and holding my forehead, wondering how she could possibly know such detailed things about ME. It was unnerving and fascinating in a way that only a magnificently written novel can be. There was a movie in the 80’s called The Neverending Story, about a little boy who steals a book from an old bookshop and has the sense as he hides away in an old attic reading by candlelight that the people in the book are aware of him. The old book-keeper had warned him that this book wasn’t safe for him to read, it wasn’t like other books, because the old man knew that those who delved into the pages of that book became part of the story. There was a point as the boy was reading that the characters talk about him as if he is there with him. They say they were there with him as he entered the bookstore and took the book with the oren symbol on the cover and they are with him as he reads the book. “But that’s impossible, it’s not real,” he says to himself, looking up from the book disturbed and confused, “they can’t be talking about me, it’s just a story.” But it wasn’t just a story. It was a book that forced the little boy to confront fears, to take a good long hard look at himself, and ultimately gave him courage and power. I found myself thinking and feeling the same thing as I read The Language of Trees and its characters continued to speak to me. “How,” I asked myself out loud, looking at the book as if could look back at me, “how does she know these things about me?” “It’s not real, it’s just a story.” But as it wasn’t just a story in the movie, it wasn’t just a story for me. It forced me to confront fears, to look deeply into myself, and when it was over, I had found courage, comfort and healing. A book filled with forgiveness and the hope of second chances and healing, it’s a compilation of love stories, old ones and new ones, reborn ones and healing ones. It’s about Grant Shongo and Echo O’Connell and whether or not they can heal and find the love they lost all those years ago. It’s a ghost story about little Luke Ellis who was lost in the waters of Canandaigua Lake many years before, and who now haunts the people on the lake out of love for his sister Melanie who has recently vanished without a trace. It’s a book full of secrets, secrets kept by Clarisse Mellon who knows the truth needs to come out or Melanie Ellis will never be found and things will never be right. This book is full of hope, and in a day where people seem to lose their hopes and forget their dreams, this book is a welcome respite, a place where the desires of the heart are encouraged to fly. Read this book, allow it to take you on its journey, find the truths in its pages and open yourself up to the infinite possibilities it offers. “You must go alone,” the movie says of the journey, if you’re willing to take it. “You must leave all your weapons behind. It will be very dangerous.” It’s true, looking inside ones self with no walls and no weapons can be very dangerous, for those willing to make the journey. It took me many years to find that “Neverending Story” experience and it changed my life. The Language of Trees changed my life. “Show no fear, for it may fade away, in your hands, the birth of a new day.” No, it’s definitely not just a story. 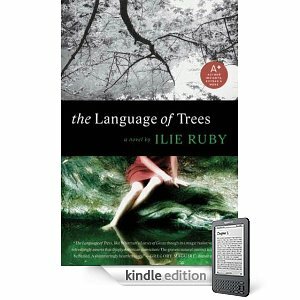 The Language of Trees: A Novel by Ilie Ruby has been published by Avon ($14.99). Birdie has a fantasy, that in the big western city recovered from the desert she will find everything lovely, effortless, safe. She dreams of becoming an actress, being discovered, walking on red carpets and having young girls envy her. But L.A. can be a tough town for those without money and fame. Years pass as Birdie exists as a stand-in for a famous actress and a sometime body double. Similar stories have been told in other novels about Hollywood, and this reader worried that the story was running out of gas before the halfway point. Birdie seems less than totally interesting and often unlikable, and she spends too much time with older men. Fortunately, Birdie eventually meets Lewis – a young male actor who believes in the same things that Birdie once did. First-time author Hollowell comes up with some great lines detailing how Birdie sees Lewis as a younger version of herself; a fellow traveler haunted by his past but filled with hopes and optimism: “How young he was, afraid of forgetting the tragedies that made him. He did not yet know that he will never forget, that he will want to forget but will not be able to.” With the character of Lewis, Hollowell finds a sweet spot. Birdie will, of course, become romantically involved with Lewis but even she understands that this will end up like a brother and sister relationship. 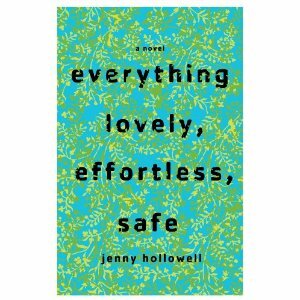 This is a nice debut for Jenny Hollowell. This reviewer hopes that her sophomore effort is built around a more engaging (and intelligent) protagonist, and that she finds a unique story line. She’s a self-professed fan of Bob Dylan (“He is so good at summing things up…”) and perhaps she will find some inspiration there. Take Away: This story is not very original and it is not close to perfect, but there’s enough here to make it an engaging and satisfying read.